Think yoga is all huffing and puffing while you struggle to perform uncomfortable postures? Think again! Yoga is a blend of breathing techniques and postures that work together to heal your body from within and strengthen it from the outside. 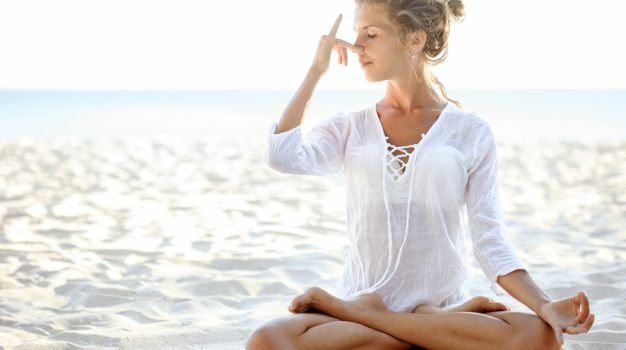 A range of breathing techniques, pranayam and asanas help you achieve overall well-being – from calming the mind, reducing stress, boosting metabolism and immunity to balancing hormones and various bodily processes. This article is dedicated to one of the most widely practiced and most basic breathing techniques of Yoga called Anulom Vilom.Anulom Vilom, also known as the alternate breathing technique, is excellent for respiratory problems and asthma. It facilitates proper functioning of the lungs, mitigates stress, lifts up your mood and keeps stress at bay.